There are tens of thousands of Google searches being made every second – adding up to more than 3.5 billion searches every day. Whether you’re running an ecommerce site, building a portfolio, or advertising a nonprofit organization, the more visitors your site receives, the better it is for business. There are several tricks and techniques you should be implementing to maximize traffic flow to your site – one of which is including backlinks throughout your content. Backlinks are simply links between two different websites: one site will link to another, and the second site will link back to the first – it is a mutually beneficial arrangement. To be valuable to one another, the links need to direct to relevant sites that have a clear connection with yours – for example, if you’re selling men’s jewelry online, it would make sense to include links to male fashion and lifestyle bloggers. These are not competitor companies, but they work in the same fields. Backlinks can be used anywhere within your site’s content, whether it’s the text on your homepage, About Us page, blog posts, FAQs or even product descriptions. Backlinks are a highly useful part of SEO – that is, an invaluable tool for attracting more traffic to your website, in turn boosting the exposure of your business and generating leads. This is because backlinks signify a level of trust and assurance between businesses. Both sites involved in backlinking benefit from the links, as they improve your credibility to both the human visitors to your site, and the search engines that are ranking it. When implemented correctly, backlinks are interpreted by search engines as an indicator of high-quality content that their users will value, and so will rank your site higher in their list of search results. The higher you appear in Google’s list of results, the more visitors you will get to your site. Building backlinks is a competitive and time-consuming pursuit, especially when you’re just starting out and your site is new. It requires careful research, analysis of your competitors and outreach to potential backlink partners. It can be tempting to cram in the backlinks as just one of many checkpoints within your SEO strategy, but achieving a high ranking isn’t necessarily that straightforward. Read on to learn how to implement backlinks successfully, and the online tools available that can help you do it. A successful website is one that gets a consistent flow of traffic. More traffic means more leads, resulting in more sales / engagement / awareness. Whatever type of site you’re running, backlinks are an essential part of boosting your visibility and reaching your desired audience. Before you start using a backlink indexing tool, you need to have your own backlinks in place – these are known as first level backlinks. 1 – Do your research: do extensive research of your competitors and see what types of backlinks they have in place. 2 – Make a list of outreach contacts: choose people who are linked to your site’s area and will benefit from the link themselves. 3 – Pitch yourself: an effective pitch is everything when it comes to securing backlink partners. Craft a powerful email explaining to them exactly what they will gain from the collaboration. 4 – Ensure the content is relevant: the link needs to be placed within content that’s relevant. It might sound obvious, but you’d be surprised how many backlinks are requested for text that’s not even vaguely connected to the secondary site’s content. As a site owner, simply inserting backlinks manually doesn’t guarantee search engines will give you credit. After a lot of time and effort spent researching and sending outreach emails, it can be disheartening to see little or no change in your rankings. Backlinks Indexer, as the name suggests, is a paid-for tool designed specifically to improve the power of your existing backlinks by indexing them. Indexing means getting search engines to take notice of your site and give it credibility. Backlinks Indexer is one of a number of tools that make it easier to position and analyze the results of backlinks to your site by ensuring that they are indexed by Google. This is achieved by building second level backlinks to the sites where you have your first level backlinks. All you need to get started is a list of URLs that you wish to index (i.e. URLs of sites where your existing backlinks are located), and Backlinks Indexer will do the rest. Backlinks Indexer has a network of thousands of sites which it uses to boost the power of your first level backlinks, forcing Google to give your site a higher ranking in its list of results. The tool is one of the most popular of its kind, but some customers may be put off by the fact that there is no free version available (even though they do have a free trial), or simply want to shop around a bit before they commit. That’s why we’ve compiled this list of the best Backlinks Indexer alternatives – read on! Here are five of the best 2019 alternatives to Backlinks Indexer that you can use for boosting your backlinks. Priced similarly to Backlinks Indexer, Indexification takes a list of URLs and forces Google to at least trawl each of your links. By inviting search engines to visit your site’s links, Indexification makes your site appear more credible and valuable to searchers, increasing the chance of your links being indexed and your site being noticed. The current signup fee for Indexification is $17.97 per month, slightly more than the cheapest package for Backlinks Indexer. This tool professes to use ‘secret methods’ rather than the typical techniques (such pinging, link building and RSS content distribution), to achieve the backlink indexing. The speed at which the indexing takes place is impressive, but there is a higher price tag for this luxury. The minimum amount you can spend is $17, which gets you 1000 links processed per day for a month, with up $97 for 30000 links per day processed for a month. This is a free backlinks indexing service, and for that reason it is one of the popular alternatives for site owners on a tight budget. The tool works by pinging search engines with a notification that your site has been updated, making it more likely that Google will see your backlinks as valuable. Pinging your site is not a guaranteed system for improving your credibility, but as Pingfarm is a zero-cost option, it continues to be popular. Very similar to how Backlinks Indexer works, you simply paste your list of backlink URLs into Lindexed, and they will force Google to take notice. They use classic techniques to index your links, but they also have the exclusive feature called ‘PingCloud’ which sends pings from your site to servers all around the world. Search engines can interpret these pings as human, which means they will credit your site with a higher ranking. Lindexed starts at $14.97 per month. Another popular indexer for backlinking, Linklicious forces Google to notice your backlinks and give you credit for them. It works the same way as Backlinks Indexer, but costs $57 per month. This is just the tip of the iceberg of the many different types of indexing tool available. But with so many different options to choose from, it can be tricky as an online marketer to know where to begin. If you’re heard a lot about Backlinks Indexer but want to see what other companies have to offer, continue reading as this may help you make up your mind. 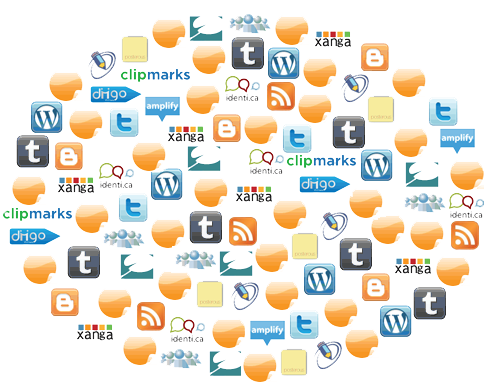 There are a few free alternatives to Backlinks Indexer. We have mentioned PingFarm above; others include Instant Backlink Indexer Indexkings and Free SEO Indexer. For internet marketers looking to try out a decent indexing tool without spending any cash, these are a good place to start. However, every one of these tools has their limits. For instance, Instant Backlink Indexer only allows you to paste a maximum of 5 URLs. If you only want to index a handful of backlinks, this will work fine, as will your Google account. However, if you need fast indexing of a high number of backlinks, a paid for indexer will make your life a whole lot easier. Backlinks Indexer and its competitors offer very similar pricing plans, beginning with an introductory offer during the first month, before reaching a standard higher price for subsequent months. Backlinks Indexer has three tiers of subscription, beginning at $27 per month. If we’re looking at the flat monthly fee, Backlinks Indexer is competitively priced. Link Juice Maximizer, for example, also charges $27 per month for its cheapest package and Nuclear-Link-Indexer charges $10 per month for 500 fewer URLs. There are other competitors who charge per batch of URLs, rather than via a monthly subscription, such as Indexbear. The question of whether alternatives to Backlinks Indexer are cheaper is actually not as straightforward as it may seem, because users must take into account the overall price per link. When using both the cheapest the most expensive package available for each service, Backlinks Indexer comes out top on value for money. When using the basic plan, Backlinks Indexer costs you $0.099 per link; when using the most expensive plan, it costs you $0.0067 per link. This works out as cheaper than or equal to many of its competitors, including Backlink Indexing, Indexbear, Nuclear-Link-Indexer and LinkJuiceMaximizer. When looking at price per link alone, one indexing tool comes out top: Linklicious, which boasts the low price of $0.0000363. However, there are other factors to consider besides the cost per link when choosing a great indexer. There are several things worth nothing about Backlinks Indexer before we come to a conclusion about its competitors. One essential element is the success rate of the indexing process. Indexing backlinks is not an exact science, and each backlink indexing tool has varying levels of success. When subjected to a 15 day period of testing, it was revealed that Backlinks Indexer came out top by an enormous distance. Over 15 days, Backlinks Indexer successfully indexed 374 out of 384 URLs, giving an impressive rate of 97.4%. In comparison, the next best index tool for rating, SenukeX Xindexer, managed to index just 146 out of 384 URLS, giving a rate of just 38.02%. That’s a whopping difference of 59.38%, with Backlink Indexer massively in the lead. 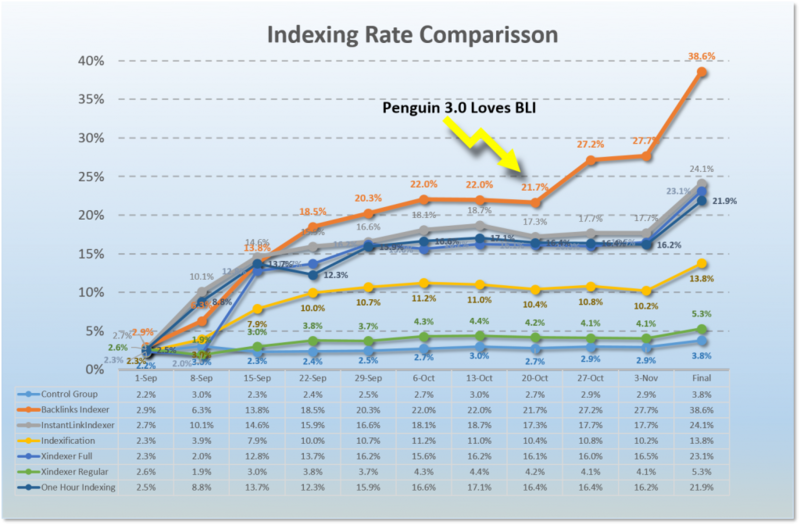 As a result of this indexing success rate, the price per URL drops significantly for Backlinks Indexer. Over the 15 day period, when compared to six competitors, Backlinks Indexer cost the user the lowest price per URL, at just $0.0074. All in all, there are many credible alternatives to Backlinks Indexer, but for us, there is only one clear winner – Backlinks Indexer itself. It’s reliable, easy to use, and has an impressively high success rate at indexing your backlinks automatically. Customer reviews praise the measurable increase in their sites’ traffic and the consistent growth they have experienced since they started using the tool. If you’re willing to pay the reasonable fee, you can save yourself time and start enjoying a real boost in site traffic with Backlinks Indexer. Sign up today and give it a go! I admit that I've gone from jumping around using most of the services on this list to see for myself which one is the best. In the end I stayed with Backlinks Indexer because it gets me consistent results and better rankings in Google. It sometimes takes several months or even years to get Google to recognize a site as a useful resource so it will send traffic to it. I’ve tried other seo tactics but I’ve never tried Backlink Indexer. It sounds like a great way to get backlinks compared to doing them manually. Thanks for the great post! I plan to follow your advice.